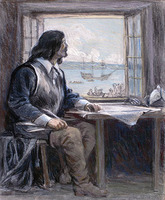 BAILLIF, CLAUDE, best-known and most prolific builder of 17th-century New France; b. c. 1635; died at sea while returning to France on a ship that left in 1698. 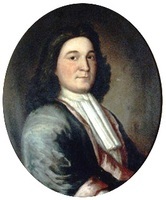 (1) In 1683 Baillif signed a contract to build a house for Louis Jolliet in the Lower Town. Inasmuch as he was the best, if not the only, qualified master-builder in Quebec at the time, we may suppose that Jolliet’s house was not Baillif’s only venture in domestic architecture. No known works by him in this category survive, however. 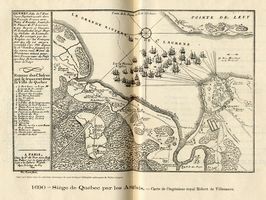 (2) In 1684 Baillif was in charge of a programme of enlarging the cathedral of Quebec, instituted by Bishop Laval with the assistance of special grants from Louis XIV totalling over 10,000 livres. This was the building which had been designed in 1645 and completed in 1647, largely with Jesuit resources and inspiration, to serve as the parish church of Quebec under the title Notre-Dame de Québec, replacing in this capacity successively the first parish church built by the Recollets in 16l5 and destroyed by David Kirke in 1629; Champlain’s votive church of Notre-Dame-de-la-Recouvrance, built in 1633 and burned 1640; and a temporary chapel in the house of the Cent-Associés used between 1640 and 1647. The parish church had become Laval’s cathedral in 1674. The programme called for lengthening the stone walls of the nave by 50 ft., with (probably) a new façade in front of it, and stone towers at either side which would serve as entrances to new side-aisles. Of this, only the south tower, carrying a wooden clocher sheathed in tin, was completed under Baillif’s direction; it still stands. 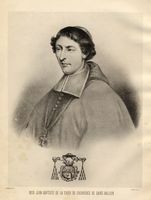 Probably Laval’s deteriorating health and consequent resignation as bishop had something to do with such desultory progress; in any event, no sooner had his successor, Mgr de Saint-Vallier [La Croix*] been consecrated in January 1688 than he wrote to Quebec officials (22 Feb.) that he was sending out to them “a skilled and clever building contractor called Larivière, along with six masons and three carpenters, to work on Our cathedral and succursal church. . . . Put them to work quickly.” Hilaire Bernard* dit Larivière and his men evidently completed the enlargement of the nave, but the final result was none too happy: “The cathedral,” wrote Charlevoix* in his 1720 Journal, “would make but an indifferent parish church in one of the smallest towns in France The most tolerable feature is a rather high tower, strongly built, which is fairly presentable from a distance.” Charlevoix’s impression is confirmed by the well-known drawing in the cathedral archives bearing the signature of Chaussegros* de Léry, which represents the front elevation as it was when he began his embellishment of it in 1744 (this we can tell by comparing the drawing with Short*’s engraving of the cathedral in 1759, which shows it as Léry left it); the 1684 programme did indeed leave the cathedral “exactly like the architecture of a country church” – stark and simple, with only the tower and clocher having any hint of elegance. For this, circumstances and not Baillif were to blame, apparently. It would not be the last time a famous Québecois builder had his plans for this façade frustrated by delays, compromises, and economies; a century and a half later the design for it which was to have been Thomas Baillairgé*’s masterpiece ended in a similar fiasco, as the present façade bears witness. (3) The “succursal church” referred to in Mgr Saint-Vallier’s letter of February 1688 was evidently begun, with Bailiff in charge, in the spring of that year, to serve the inhabitants of the Lower Town. Originally dedicated to “L’Enfant-Jésus,” it was renamed Notre-Dame-de-la-Victoire while under construction, in honour of what was considered the Virgin’s miraculous help in repulsing the attack of Phips on Quebec. In 1711, when another attack by Sir Hovenden Walker* met disaster, the church received its present name of Notre-Dame-des-Victoires. Of Baillif’s work here we can say for certain only that very little, probably nothing at all, remains today. 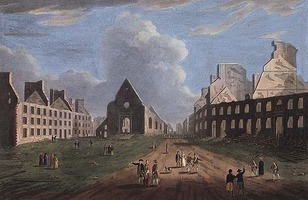 Wolfe*’s artillery wrecked the original church thoroughly (as Short’s drawing made in 1759 shows very well), and despite signs proclaiming it to tourists as “the oldest church” in Quebec, Notre-Dame-des-Victoires today represents a rebuilding of 1765, heavily if not entirely altered on several occasions between 1830 and 1860, probably by André Paquet*, dit Lavallée. Evidences are that Baillif may have intended his church to have side-aisles like the cathedral’s, and a small clocher over the crossing. (4) In January 1693 Baillif signed a contract with Mgr Saint-Vallier to take charge of building his episcopal palace, preliminary work on which had already begun. Among other specifications, a façade was called for to be 24 1/2 ft. high, crowned by a “cornice, frieze, and architrave in the Tuscan order.” Baillif set to work, and when the bishop returned from a trip to France in 1697, his palace was substantially complete. It was probably the most elaborate building of 17th-century New France. La Potherie [Le Roy*] in his Histoire described it with enthusiasm as “a large building of cut stone; the main body of it, with the chapel making up the central section, faces the channel [i.e., the St. Lawrence]. It has a wing 72 ft. long, with a pavilion at the end [in other words the plan – although irregular because of site – was that of a typical 17th-century French palace, a main body enclosing a cour d’honneur, with a wall and ornamental entrance on the fourth side]. The chapel is 60 ft. long; its façade is of the composite order, built of fine cut stone, which is a sort of rough marble. Its interior is magnificent, by reason of its altar retable, the ornaments of which are an abridgement of that in the Val-de-Grâce. There would be few episcopal palaces in France that could rival it, were it finished” (this last referring to the never-completed second wing). In La Poterie’s accompanying plate the body of the chapel is shown set into the palace building at right angles, the façade projecting. 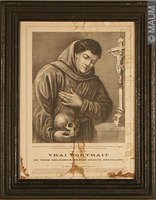 Better known is the plate in Short’s series; it depicts the façade as a “Jesuit” type of the 17th century, in two stories joined by reversed scrolls, and articulated by pilasters and cornice. The palace was repaired after the cession, and used through the 1830’s (it appears in a good many early 19th-century views of Quebec); material from its walls was used in the present palace, designed by Thomas Baillairgé and opened in 1844. (5) The Livre de Comptes of the church of Sainte-Anne de Beaupré states that Claude Baillif was in charge of rebuilding during the years 1689–95; it specifically mentions a clocher built in 1696 “according to the designs of Claude Baillif “ by the carpenters R. Leclaire and Jean Marchand. This was a complete renovation of the church built on the site c. 1676; when it was demolished in 1878 to make room for the fourth church (which stood until 1922, the present church dating from 1923), its materials were used in the construction of a commemorative chapel, on which this clocher is still to be seen. 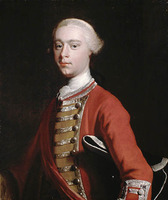 The importance of this reference is both to suggest something of Baillif’s role in building operations, and to connect his name with the type of parish church established by Bishop Laval. Baillif’s precise function as a builder is uncertain. 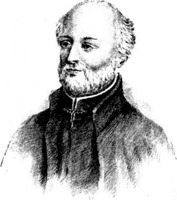 Apparently he was more than an artisan – not only do records indicate his working on three buildings at once, but there is also mention of his “plans.” But it is evident, too, that Laval and Saint-Vallier took much more than a passive patron’s interest in the design of churches and official buildings in their diocese; all such plans had, in fact, to be approved by both bishop and intendant before building operations could begin. 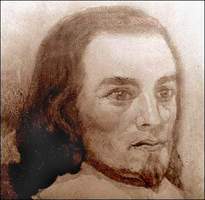 The logical inference is that Baillif’s “plans” were on the order of working drawings for designs devised jointly by himself and the bishop. Laval and Saint-Vallier were gentlemen, familiar with the advanced architectural ideas of Louis XIV’s court. Baillif and the other workmen charged with executing their ideas were, however, trained in traditional modes and means of craftsmanship; in them mediaeval traditions were unusually strong, the more since rigid religious orthodoxy was a prime requirement for immigration to New France. The result of such collaboration was a fusion of mediaeval and Baroque traditions which created the first distinctly Canadian architectural expression. It was seen first and best in the six stone churches erected between 1669 and 1680 in parishes founded by Laval–Sainte-Anne du. Petit Cap (Sainte-Anne de Beaupré), 1676; Sainte-Famille, 1669; Notre-Dame de Beauport, 1672; Saint-Joseph de la Pointe-Lévy, Lauzon, 1675; Ange-Gardien, 1675; Notre-Dame de Château-Richer, c. 1680 – and in those immediately following them, such as the 1688–89 reconstruction of Sainte-Anne de Beaupré and the 1695 church of Saint-Laurent, Île d’Orléans, as a distinctive combination of classically inspired elements (round-headed arches in clocher arcades, quoins, interior forms) with the rugged fieldstone walls and steeply vertical proportions of a mediaeval tradition. It is in his contribution to the latter that Baillif takes his place as one of the main founders of the Québecois architectural tradition. Alan Gowans, “BAILLIF, CLAUDE,” in Dictionary of Canadian Biography, vol. 1, University of Toronto/Université Laval, 2003–, accessed April 24, 2019, http://www.biographi.ca/en/bio/baillif_claude_1E.html.